Your kids will love this fun DIY popsicle holder! 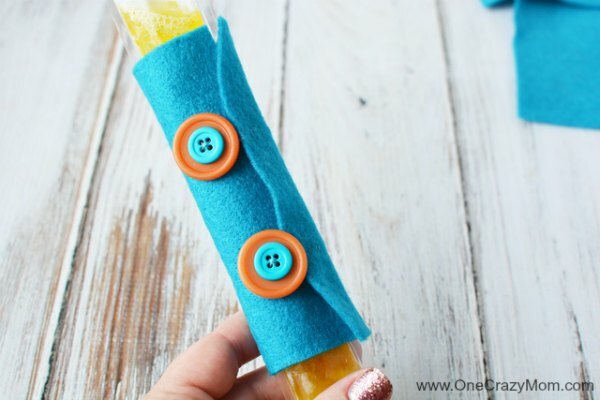 It’s perfect for keeping little hands from getting cold while eating a yummy popsicle. 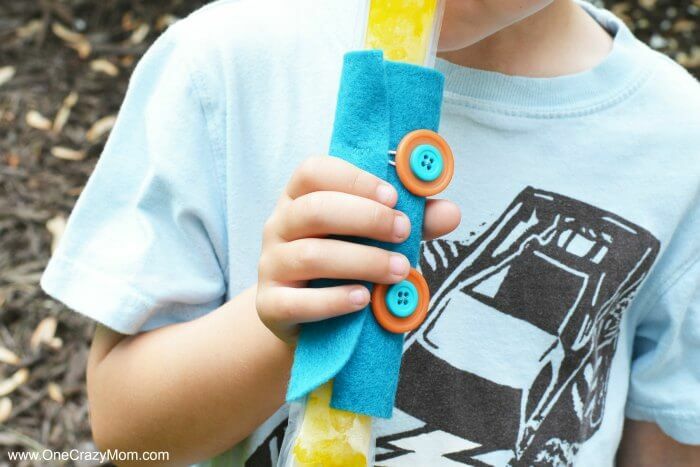 This homemade popsicle sleeve is easy to make and will be a hit! You can make these holders in an assortment of colors. We all love the lazy days of summer and what is better than a tasty popsicle! There is just something about a frozen treat on a hot Summer day. But little hands can get cold holding these popsicles. Learn how to make a DIY Popsicle holder that will solve this problem! You can certainly buy these holders but they are much cheaper to just make. Plus, it’s so very simple to do! It is very easy to make several of these for your kids and extras for guests. I love having several on hand for when their friends come over. No fighting over who gets a DIY popsicle holder. 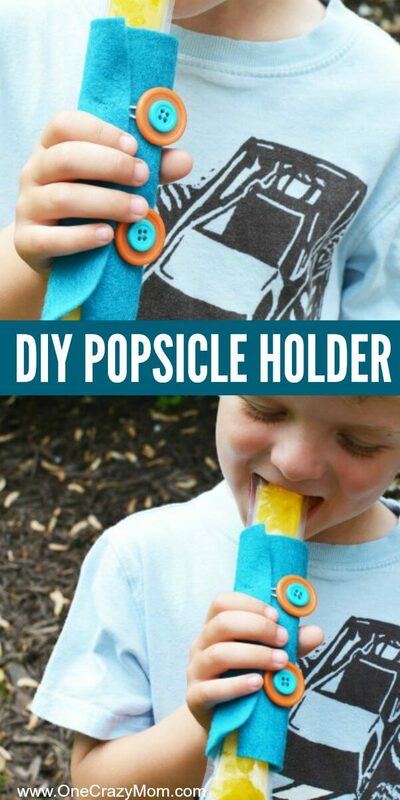 Everyone will get their very own holder to use while eating their yummy popsicle. 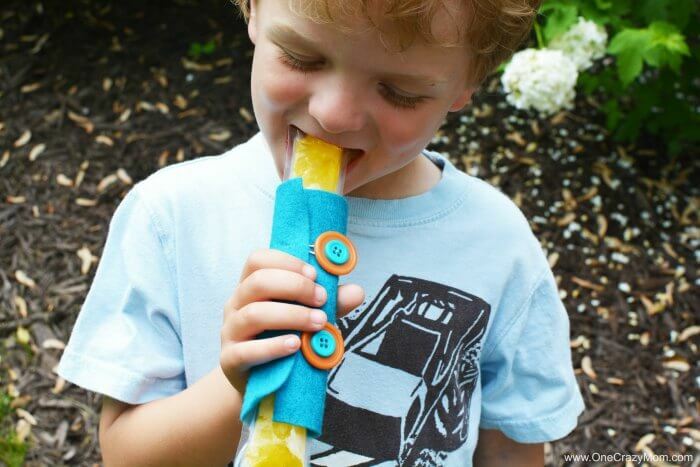 It’s fun to let the kids choose their favorite colors and have their very own popsicle holder. These are also great for when the kid are sick. Sometimes, an ice cold popsicle will soothe a sore throat and these holders will make it that much easier! My kids love these and it makes eating the popsicle even better! I find that these are so comforting when they are sick and curled up. It makes it much easier with one of these popsicle holders. 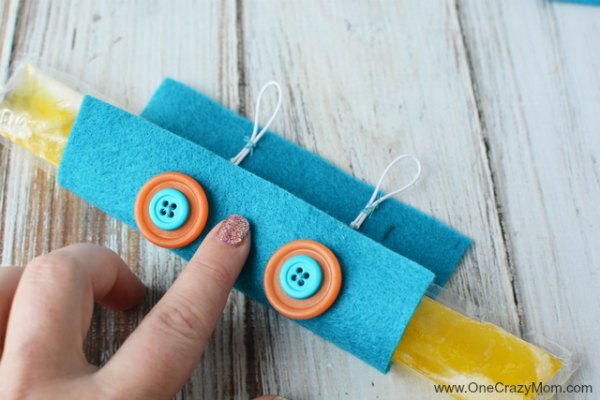 Let’s learn how to make a popsicle holder! Once you get started, you will see just how simple the process is. These are such a hit that I made a couple extra to give to friends. They loved them so much when they used them at our house. They also make a really fun end of school year gift. 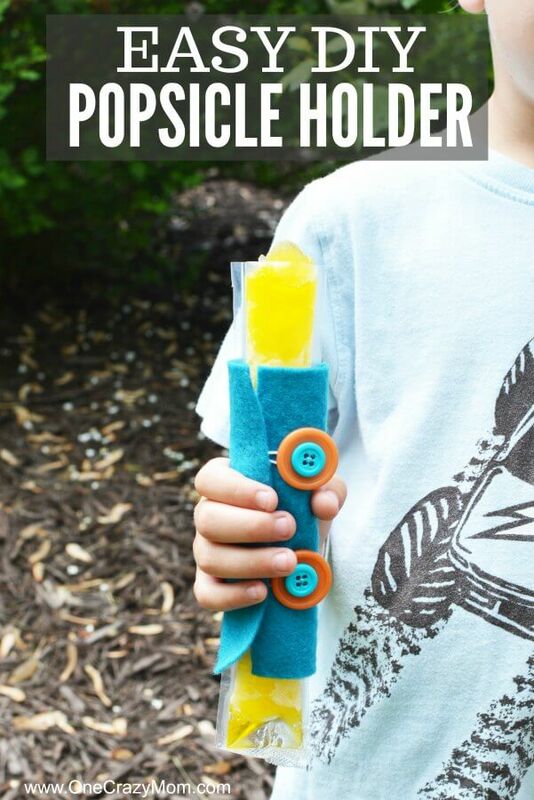 You could hand out one DIY popsicle holder plus a popsicle out to each child. They can freeze it when they get home and have a cool Summer treat. Plus, they have the popsicle holder to use all Summer long! So fun and practical! The felt and other supplies needed are very inexpensive! You can buy buttons in bulk on Amazon for really cheap. I also save any extra buttons all year long for craft projects like this. You may not even need to buy any. I actually had felt left over from when we made a DIY Sock Puppet and when we learned how to make a Bunny Charm. Once you start making crafts, your supply will build and often you won’t even need to go buy supplies. It’s very budget friendly to make several of these. Once you get started making them, it’s easy to just keep going and make several more. Perfect for Summer! 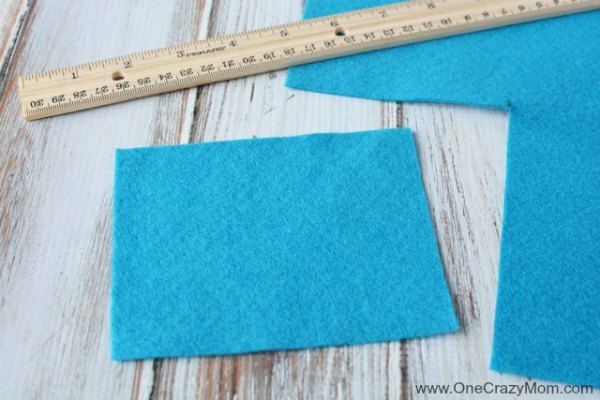 Use a pencil to measure a piece of felt 3″ x 5″ and cut it out with scissors. 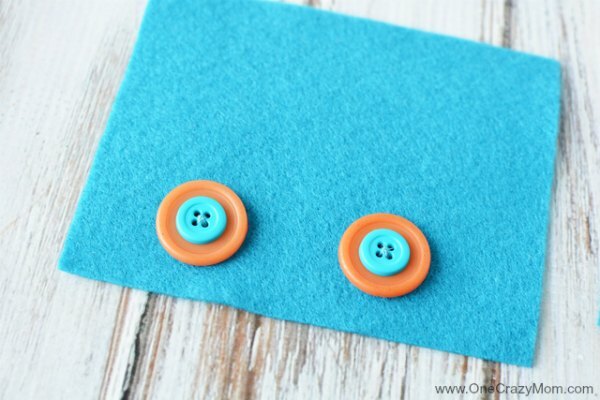 Use a pencil to make two marks for buttons. This will be along the 5″ side. You’ll mark 1.5″ from the left and 0.75″ from the top. Add a dot with a pencil. Repeat on the other side of the rectangle, measuring 1.5″ from the right side and 0.75″ from the top. 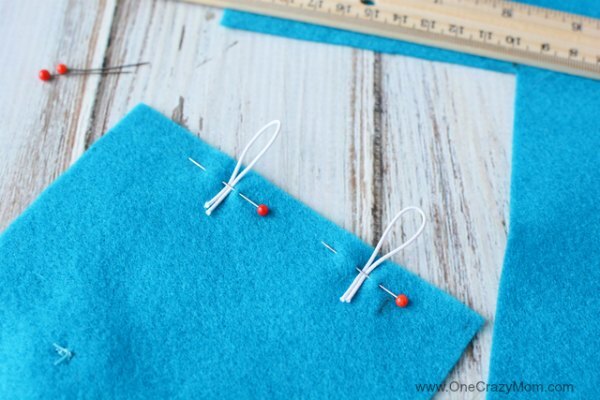 Thread a needle and sew your buttons onto the felt at the marks. I sewed two buttons at once to add more of a decorative look. Flip felt over so the buttons are face down on a table. Cut 2 pieces of elastic cord 3″ in length. 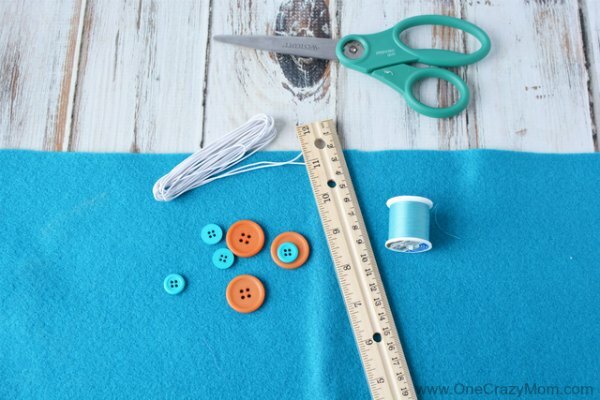 Fold 1 piece in half and measure 1.5″ from the left side and let the two tails of the folded elastic extend 1″ beyond the top of the felt. Pin to hold in place. 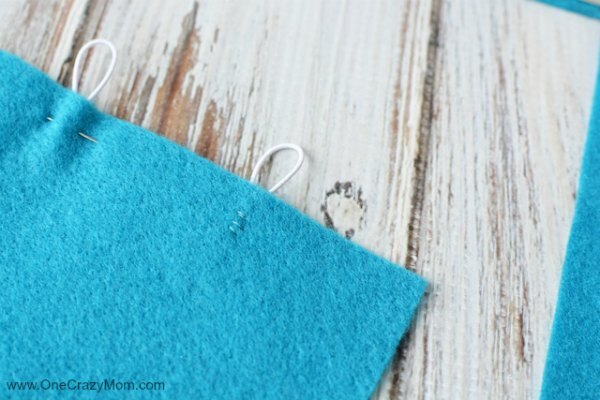 Hand stitch the elastic to the felt and repeat on the opposite side. Remove pins. 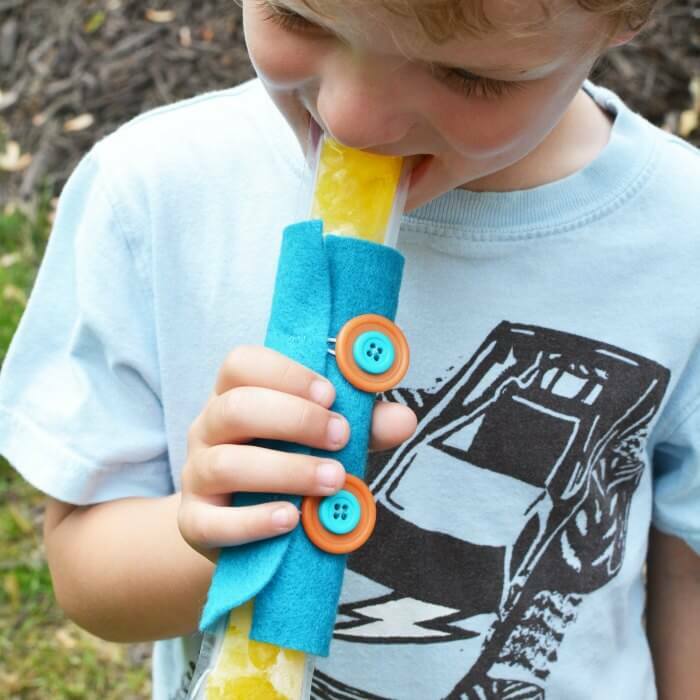 Place the popsicle onto the felt and wrap it around, looping the button into the elastic to hold it in place. This DIY popsicle holder is so fun and easy! 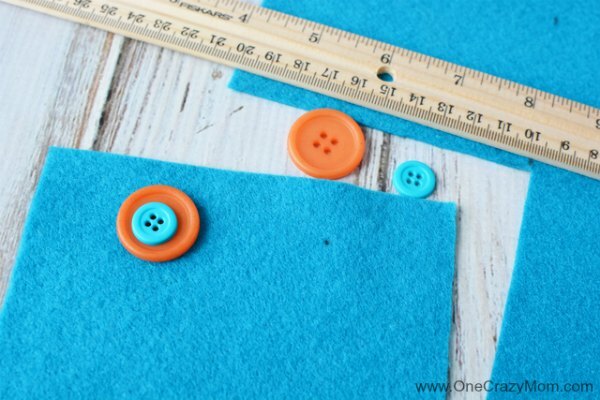 I love that each child can help by choosing the colors of the felt and buttons. It’s a really fun project. Plus, these DIY holders will get tons of use. It’s so much fun doing craft projects but I really love the ones that are practical like this. We will use these year round! I can’t wait for you to try these. Let us know what you think. I just know your kids are going to love using these fun holders. This popsicle holder diy is so simple! No need to buy neoprene popsicle holders when you can make your own at home! These ice pop sleeves will be so handy! 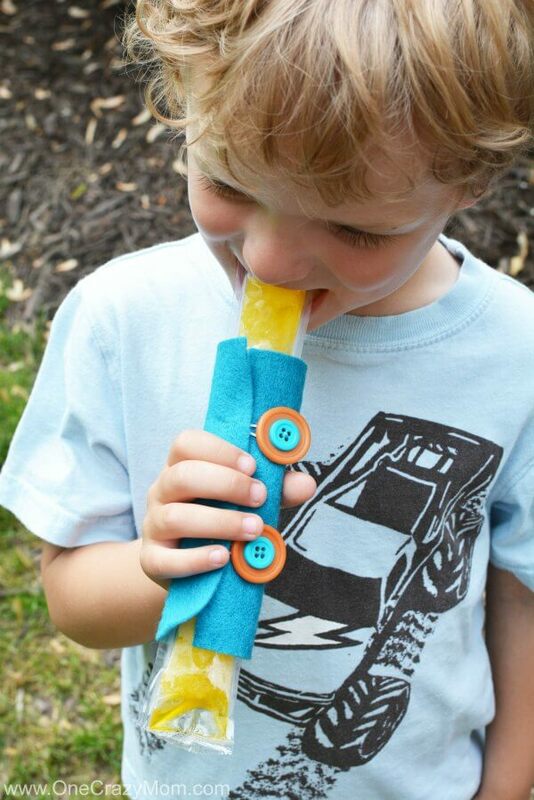 Next time your child reaches for an ice popsicle, give them one of these sleeve holders! We used to wrap papertowels around the popsicles and I always felt like they didn’t work well. They would fall off or tear and I would have to get more. I wasted so many paper towels. Now just grab a popsicle sleeve. I love that you can reuse these! It saves so much time and money. Perfect! If you love popsicles as much as we do, try the Best Homemade Watermelon Popsicles. They are so refreshing and the watermelon tastes just like Summer! Another favorite is Homemade Orange Creamsicle Popsicle Recipe. So good! Nothing beats an ice cold popsicle treat during the hot Summer months! There are just some things that make it feel like Summer and popsicles are one of those things! They go hand and hand with sprinklers, pools and days at the beach! Yay for Summer time!